Every child knows that you need a few things in order to grow a plant. You need soil, light, water and a seed (at the very least). The Hydroponic Garden will show you how to get the job done without soil and will show you the many benefits of hydroponic cultivation! 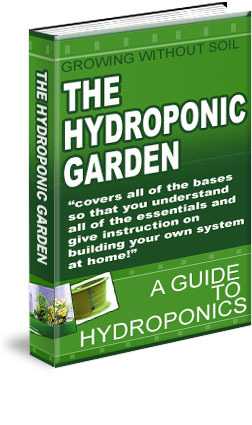 ‘The Hydroponic Garden‘ is both a 71 page downloadable ebook AND a 1 hour 10 mins Mp3 audiobook!